The University of New Brunswick is hosting speaker Kevin Lamoureux. The associate vice-president of Indigenous affairs with the University of Winnipeg will discuss how universities and communities can work together to implement the Truth and Reconciliation Commission’s calls to action. “Meeting the TRC’s calls to action” will be held at UNB’s Fredericton campus on Tuesday, Feb. 21 at 7 p.m. in room 143 of Marshall d’Avray Hall. 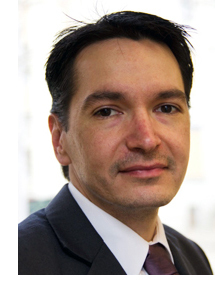 Mr. Lamoureux’s expertise in mentorship, inclusion programs and governance models within Aboriginal education have made him a notable speaker. An educator within the University of Winnipeg’s ACCESS education programs, he works to improve access to education for all. The lead author of Mentoring in a Canadian Context (2008), which focuses on the belief that all students deserve to be engaged, challenged and supported. Mr. Lamoureux examines the integral role educators play in the success of their students. He recently authored a guide for educators looking to include Aboriginal perspectives in their classrooms with the Winnipeg School Division and École River Heights School. This presentation is part a speaker series sponsored by UNB’s Truth and Reconciliation Calls to Action Committee. The group works with both campuses to ensure the Truth and Reconciliation Commission of Canada’s calls to action are supported and implemented at UNB.